SINGAPORE, 27 July 2017 – Over the course of the event, Speciality & Fine Food Asia (SFFA) and Restaurant, Pub & Bar Asia (RPB Asia) welcomed approximately 3,000 trade visitors through its doors. In addition to the 161 global exhibitors from 23 countries, buyers were treated to an exciting programme of live demonstrations by acclaimed chefs, sommeliers, tea masters, baristas and bartenders, panel discussions with industry experts and business mentoring sessions where SME experts were on hand to offer free one-to-one advice. Fresh Montgomery, a specialist exhibition organiser in the food & beverage, foodservice and hospitality industries, has been organising the UK edition of Speciality & Fine Food Fair for the last 17 years. Fresh Montgomery and its sister company Montgomery Asia have designed the trade-only shows to be a focused, thoughtful set-up that is primed for creating the right connections between suppliers and trade buyers to inspire all with innovative ideas. “We’re proud that the inaugural editions of SFFA and RPB Asia were a tremendous success. The only dedicated B2B trade shows in Asia to provide a platform for seamless sourcing of global brands of speciality produce, F&B buyers, chefs and distributors took this opportunity to network and discover exciting, fresh collaborations with the many suppliers at SFFA and RPB Asia.” says Soraya Gadelrab, Portfolio Director, Fresh Montgomery. 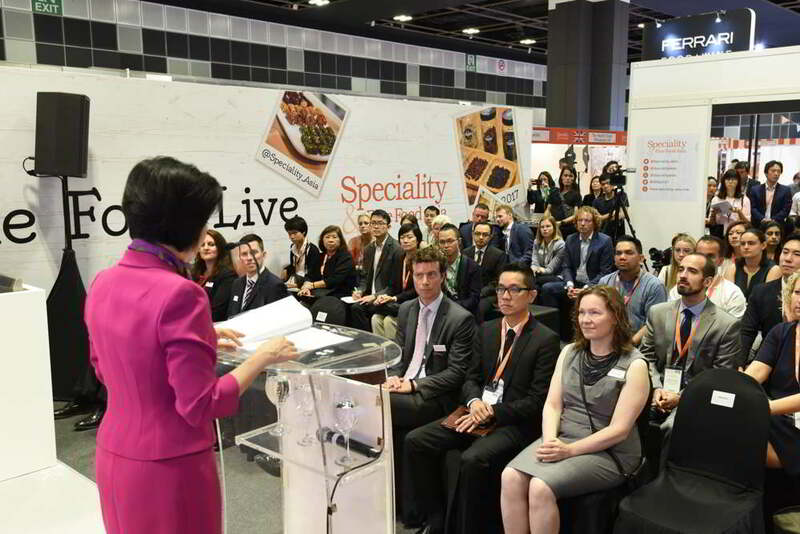 Speciality & Fine Food Asia and Restaurant, Pub & Bar Asia will take place again next year from 17-19 July 2018 while the 2017 UK edition will take place from 3-5 September 2017 at Olympia, London. Established in 2016, Montgomery Events Asia is a fully-owned subsidiary of Angus Montgomery. It focusses on the growing Asian market, bringing the group’s flagship events to this region as well as developing new trade shows that meet the needs of the Asian market. Founded in 1999, Fresh RM Ltd. was launched as a joint venture company between Reed Exhibitions and Angus Montgomery. In 2011, Montgomery bought out Reed’s share of this business and Montgomery now owns the business outright. A young, dynamic and creative company, Fresh Montgomery is a specialist exhibition organiser who has built up unparalleled business opportunities for the foodservice and hospitality industries. For more information, visit www.freshmontgomery.co.uk.